. Published on June 18, 2018 . Perhaps the most useful home appliance we have is the refrigerator, and when your refrigerator won’t cool, the consequences can be severe. Food can spoil in less than 24 hours, and if your refrigerator is not cool enough, you risk losing all your perishables rather quickly. Keep the doors to the refrigerator and freezer closed. If you can get a technician to your home within the day, keep your doors closed to preserve the temperature. Call for appliance service immediately. The earlier you call, the better. Don’t wait until you get to work. Call as soon as you notice the problem to hold your place on their schedule. Transfer food to portable coolers filled with ice. If your technician can’t make it within 5-6 hours, transfer highly perishable food into coolers to prevent spoilage. If the situation is not yet dire, being able to troubleshoot, diagnose, and even perform some simple repairs on a refrigerator can sometimes prevent major problems while saving you money. Troubleshooting should always begin with the most obvious and easy fix. If you discover your refrigerator not cooling adequately, check to make sure the unit is plugged in and nothing has dislodged the cord. If the cord is plugged in, let the investigation begin. Here are frequent causes for a refrigerator to not cool. Ensure the internal temperature is set correctly. The internal temperature of the refrigerator section should be somewhere between 34-40 degrees. Depending on your refrigerator model, the temperature dial or external display may show you where the recommended and optimal temperature should be set. If your refrigerator or freezer is jam-packed with food, your refrigerator no cool issue may be due to an obstructed air duct. In most standard refrigerators, air is transferred from the freezer to the refrigerator via an air duct. If the refrigerator is too full, the air flow may not be circulating well enough to keep the fridge cold. Remove excess food (this is a good time to clear out leftovers, old condiments, and stuff you won’t use). Dirty condenser coils can lead to a refrigerator not cooling. Condenser coils must stay clean in order to dissipate the heat which was removed from the inside of the refrigerator. As the coils become dirty, the refrigerator becomes less efficient and has to work harder to stay cool. If the coils are too dirty, the unit cannot get cold enough and will not be able to cool the inside of the refrigerator to the proper temperature. Use a rag or brush to clean all of the dust and debris from the coils. Do this regularly (manufacturers recommend every 6 months) to help maintain your refrigerator. Check to make sure the door seal is functioning properly. First, make sure your refrigerator is level to the floor. Next, inspect the seal for any cracks, tears, or just excessive dryness and wear. Take a dollar bill and placing it halfway in the door and close it. If you can pull the dollar out while the door is closed, then your seal is bad and may need to be replaced. Use your unit’s model number to find and purchase the correct seal, and find a good YouTube tutorial for installation tips. If you’re not the handy type, call an appliance repair company for service. If none of these DIY recommendations fix your problem, it’s probably time to contact a refrigerator repair pro to fix the issue. 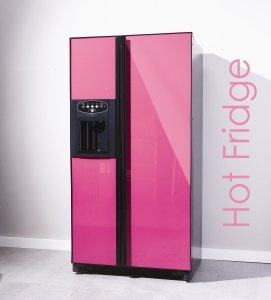 You should always hire an authorized appliance repair service provider to take on any major refrigerator repairs. For service in Northern California, contact Lake Appliance Repair. Krystle has been in the appliance repair industry for decades. 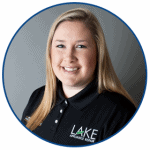 She and her husband, Scott, founded Lake Appliance Repair in 2005, expanding the business to serve homeowners throughout Northern California and Western Nevada.